It still amazes me how many people admit to not using a daily moisturiser. Normally it’s not because they’ve nailed a skincare routine and don’t necessarily need the extra layer, but because they’re loathe to apply a heavy cream that takes either an age to absorb or leaves the surface of skin feeling a bit icky. For that, I can’t blame you moisturiser avoiders! Although this stage of your beauty regime is purely cosmetic and provides only short-term results (moisturisers in general won’t help to reduce the signs of ageing or tackle issues such as pigmentation unless specifically listed as such,) adding a touch of hydration can really transform the appearance of skin – no matter your age. Dehydration in the skin can be a result of diet or lifestyle factors (not drinking enough water, spending too long in the sun, using too many stripping products) but it can be relatively easy to address. 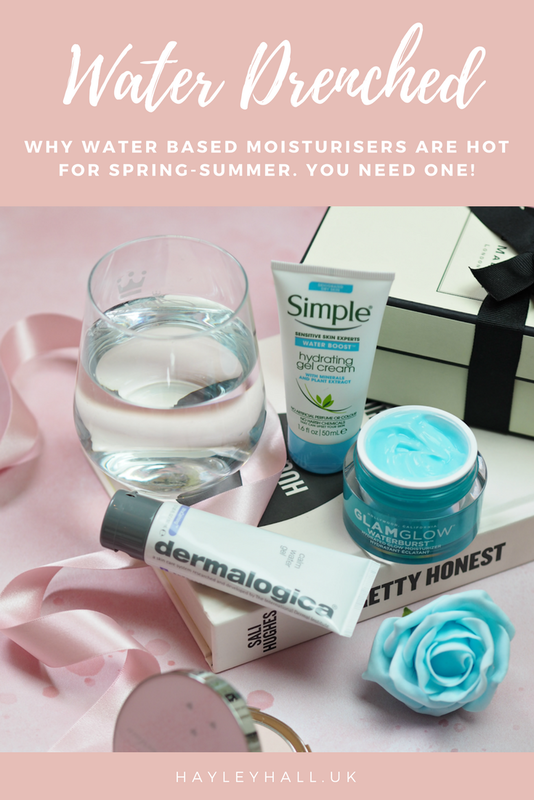 Although there are thousands of moisturisers out there, as we step into Spring-Summer territory there’s one trend that seems to be gaining pace and delivering a solution I for one am glad of: ‘water’ moisturisers. Although we saw the rise of the jelly moisturiser a few years ago, in 2018 this has been taken one step further in the form of an incredibly lightweight product that transforms from a gel to a water-like texture when applied to the skin. Not only is this incredibly refreshing, but it speeds up your routine and leaves skin with a quick shot of moisture without the added faff. What’s great about this new trend (apart from the fact I think it’s here to stay) is that it’s being picked up across the market, allowing you to spend as much or as little as you like. I’ve been putting a few products to the test, and I have to admit I’m a bit of a convert. Glam Glow WaterBurst (£39.00) claims to offer up to 72 hours hydration, thanks to the inclusion of water from the volcanic Island of Jeju blended with Blue Nymph Lily Extract; it sounds a bit fantastical and ridiculous, but this is a beautiful texture that really helps to inject some moisture into my complexion. Dermalogica Calm Water Gel (£44.50) contains Apple Fruit Extract, Glycerin and Cactus Pear Extract alongside Hylaronic Acid to help soften, soothe and bind water to the skin; it smells comforting and is suitable for sensitive skin, even if the cost is high for the volume you get. On the other end of the spectrum, Simple Water Boost Hydrating Gel Cream (£6.99) provides a simplistic hit of hydration with minimal faff or fuss – it’s great for layering or if you don’t like products too heavy. So, I hear you ask, why has this trend suddenly popped up and why does it really meet a need you never knew you had? In the last decade the texture of moisturisers has completely changed. Gone are the days when every moisturiser was thick, heavy and gloopy – now they’re just as lightweight and easy to manage as a serum. The technology around the delivery system has evolved, which is why our products are able to perform just as well in a much lighter formula; put simply, you don’t *need* a thick cream. Yey to the dudes in white coats. A decade ago a ‘complicated’ regime consisted of cleanse, tone and moisturise; now it can include anything up to ten different steps (cleanser, toner, essence, serum, eye cream, treatment, moisturiser, SPF, finishing spritz…) and takes a hell of a lot longer to get through. One of the downsides to this is that our skin can become easily overloaded and too much product leads to that dreaded ‘pilling’ – the annoying flakes of product that are left on the surface. These lightweight moisturisers minimise overload and are actually much better for integrating into a modern routine. Led by consumer demand, this new wave of moisturisers ticks the box of ‘quick to apply’. The majority of us don’t have the time or inclination to sit at a dressing table for an hour every morning, instead trying to fit in a morning yoga session and home-blended smoothie before checking emails and walking the dog (and that’s all before we’ve even left for work.) We now demand more from our beauty products and expect them to absorb as quickly as possible, which is why everything from one-hour tans to spray body lotions are on the rise. These water-based moisturisers absorb into the skin within seconds without leaving any residue, allowing us the time to get on with our routines (and our lives) with minimal fuss. That’s something I’m sure we’re all on board with. 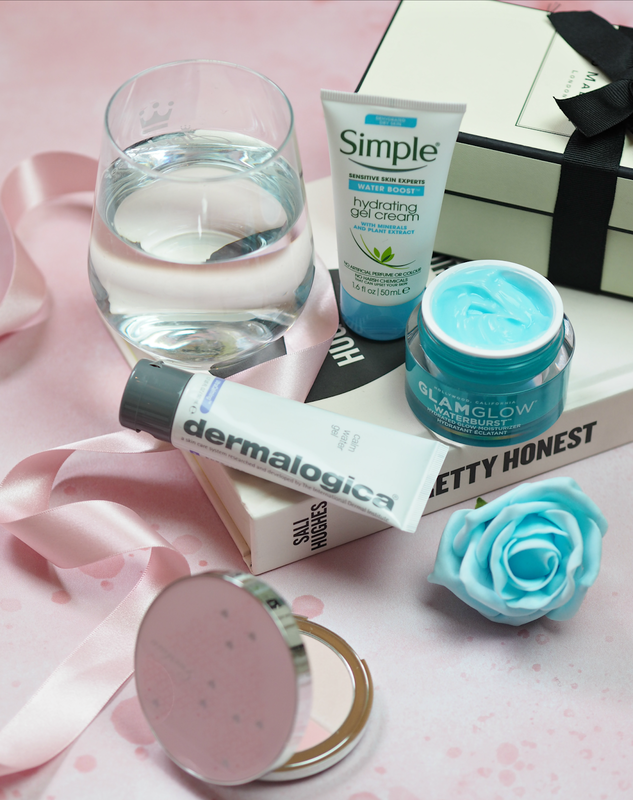 As we step into a new season, it’s the perfect opportunity to refresh your skincare regime and introduce lighter products that leave your complexion feeling fresh. The main difference is that now, these lighter formulas are here to stay – unless you want to switch back to a heavier cream that is. What are your thoughts on these new lighter skincare treats? 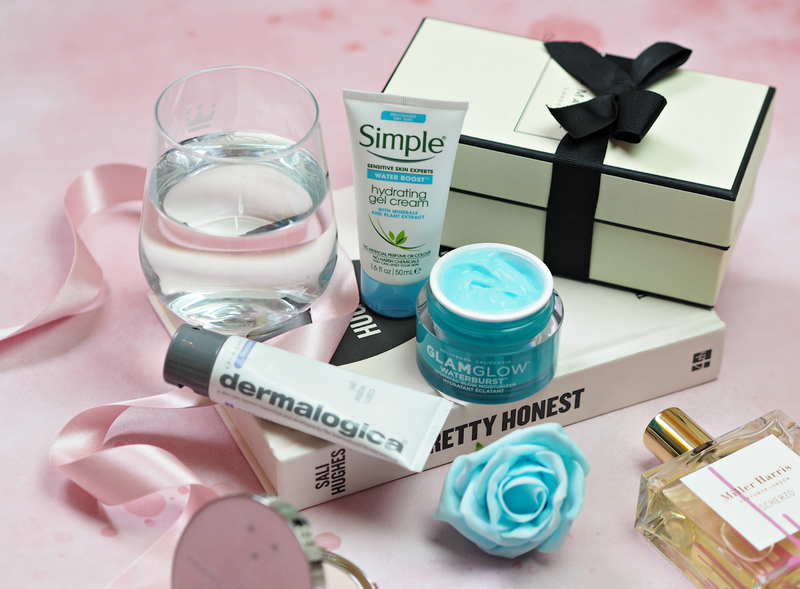 Are you intrigued enough to give a water moisturiser a go? They're so refreshing – I've been loving them. I'm currently using the Dermalogica one and I'm absolutely in love, apparently it was just what my skin needed as its been so much calmer since I started using it. It works perfectly with my sensitive, combination, acne prone skin. The areas of dry, redness I had are actually gone. I think I might try the Glam Glow one next, once I run out (I may have not realised how expensive per the volume it was), if it's available in Australia then. That's a great endorsement Rebecca! I think they're great for irritated skin because they're so light and they don't clog either. They're great for summer as they're so light – but they're also fab if you layer products and don't want too much on your skin. Basically fab multi-functional additions!